In the Sacrament of Holy Orders, a man is incorporated into the priesthood of Christ, at one of three levels: the episcopate, the priesthood, or the diaconate. The second level of the Sacrament of Holy Orders is the priesthood. 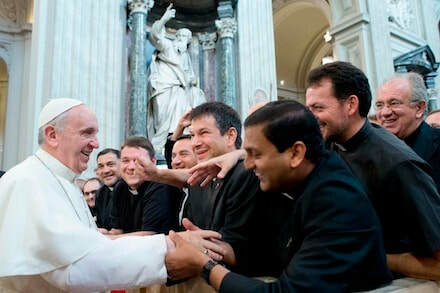 No bishop can minister to all of the faithful in his diocese, so priests act, in the words of the Catechism of the Catholic Church, as “co-workers of the bishops.” They exercise their powers lawfully only in communion with their bishop, and so they promise obedience to their bishop at the time of their ordination. Married men are able to become permanent deacons. Please follow this link to find out more information and direction on Holy Orders visit http://www.heedthecall.org/.